-Add this piece before checking out. The Akrapovic aftermarket Slip-On system is based on the same layout as the original exhaust system of the GT3 with valve control. 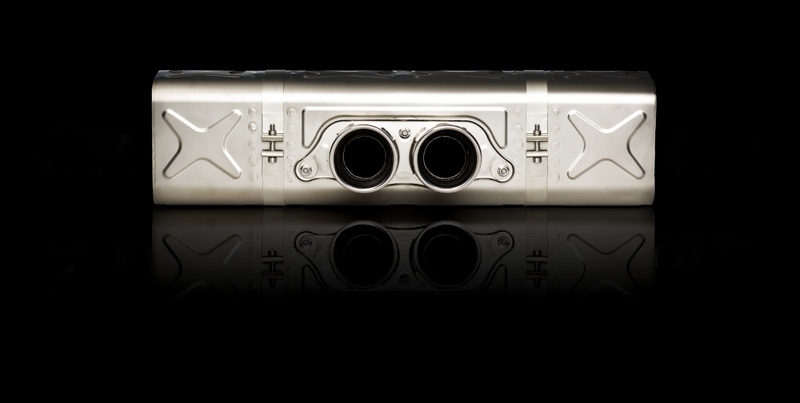 In comparison to the aftermarket Akrapovic Evolution exhaust system, the Slip-On does not contain an exhaust manifold with a 100 cpsi sports catalyst, but rather only a titanium muffler with two double round tail pipes. The muffler is easily installed on the original exhaust system. Another advantage is that it is homologated for road use. A Porsche 911 GT3/RS (997) that is equipped with an Akrapovic Slip-On exhaust system is more powerful and lighter, even though the exhaust system is not replaced in its entirety. The sound of its six valve engine is also noticeably improved. A look at the numbers reveals that the Slip-On offers a 2 kg* weight reduction in the rear of the Porsche 911 GT3/RS of and a 4 HP* and 3 Nm* increase in power. The reduced weight provides better steerability and the increased power additionally spices up sports driving, because the changes offer better lap times. 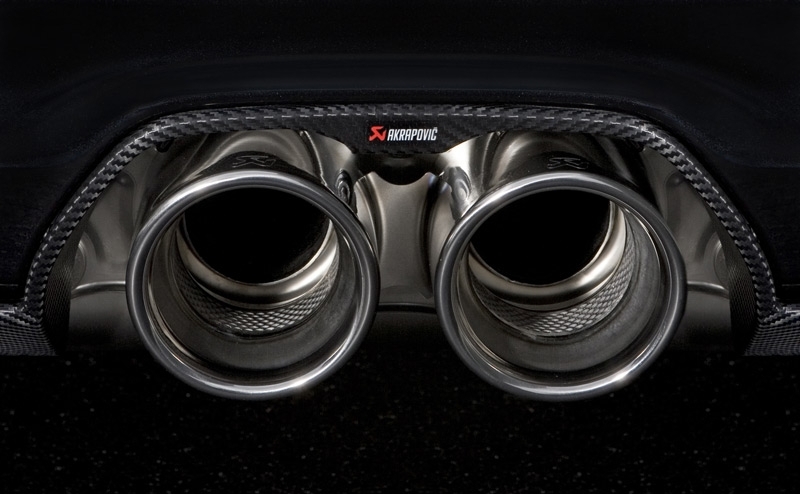 Two tail pipes, measuring a 100 millimeters in diameter, make it clear that the Akrapovic Slip-On system is no ordinary exhaust.